"working for the community with pride"
A bit about Horsham Sports & Community Club History. The idea of the Horsham Sports and Community Club was born in 1990 when a very small group of community minded businessmen, led by Mr Laurie Rudolph, approached around 40 others in the town. Many attended the meeting and it was resolved that around 40 people from Horsham and District, would provide an unsecured loan of around $5K each giving a starting capital of around $200K to purchase a restaurant in Horsham. The idea was to have a full entertainment complex that provided live shows, meals and other entertainment options. This commenced in July 1990. Located conveniently close to the Melbourne/Adelaide highway, petrol stations and beautiful May Park, Horsham Sports & Community Club is the ideal spot for that quick stopover lunch, dinner, or for just a relaxing afternoon tea. and chat. May Park Safety Fence, Horsham Cemetery Infant Memorial Garden, Region 17 CFA Forward Command Vehicle, Green Lake BBQ & Pergola, Horsham Aero Medical Transfer Station, Minyip Wetlands Shade Sails, Wimmera River Safety Lighting. HSCC bistro was renovated in early 2016 and is now modern, inviting with open spaces to cater for groups of all sizes. There is new furniture, carpet, an alfresco terrace area a 220-seat bistro, 60-seat function room and kids play area. Basically everything is brand new and it is now a real showcase for Horsham. It provides fantastic food and service in a fantastic new environment, it is really quite lovely. Our Alfresco area offers a relaxing place where you can enjoy a few quiet drinks on the terrace, while overlooking beautiful May Park. A great range of hot & cold drinks, beers, wines & cocktails to enjoy. Tapas menu also available Thursday-Sunday. Located inside the Bistro, which make us the ideal entertainment venue for your family. Relax & enjoy the family atmosphere, while the kids play. Busy Nippers activity bags with colouring pages & pencils available with any kid’s meal. IPads available to use in venue. Free live entertainment Sunday afternoons, with local bands alternating monthly. Food & Drink specials available. 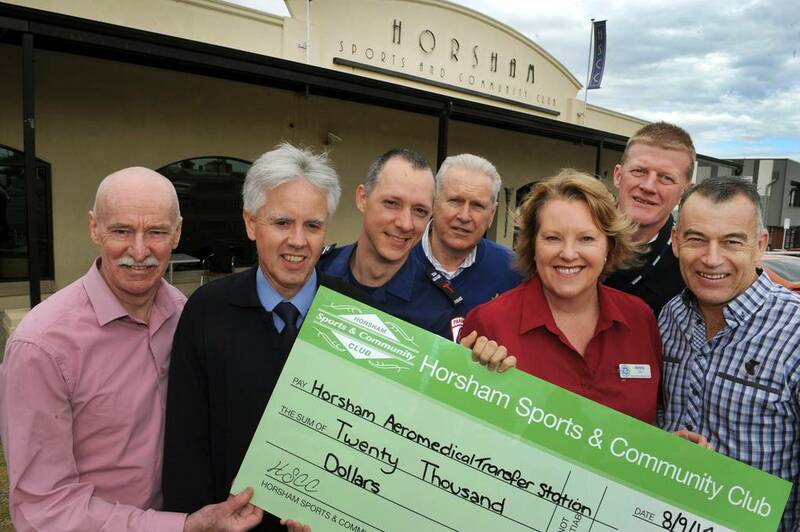 Horsham Sports & Community Club has donated over $315,445 to Major Community Projects. Read more about our individual sponsorship’s here. • All board members give freely of their time as volunteers to oversee the governance of The Club. • The Horsham Sports & Community Club is 100% owned by its members. • The local Community receive all the profits after normal trading. © 1995 Horsham Sports & Community Club, All rights reserved.